Ovidius Kana Lomi, S.Pd (left), the new head master of SMAN 1 Amarasi Barat, who replaced Meshach Kaseh, S.Pd.MM. 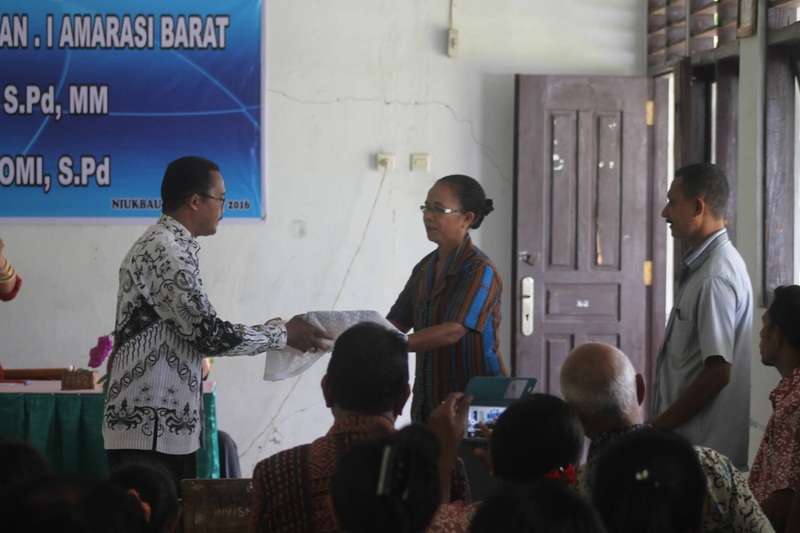 Meshach Kaseh, S.Pd.MM who has served as the head master of SMAN 1 Amarasi Barat, Kupang Regency for 14 years looked sad when the handover ceremony on March 19, 2016. 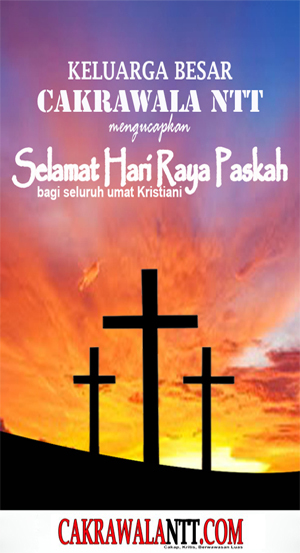 He got a new job as a superintendent in PPO Department of Kupang Regency. 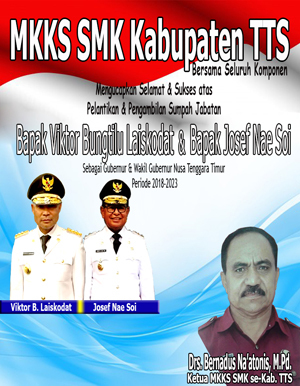 Based on Decree Regents, the new head master of SMAN 1 Amarasi Barat who replaced Kaseh was Ovidius Kana Lomi, S.Pd, who comes from SMAN 1 Kupang Barat. 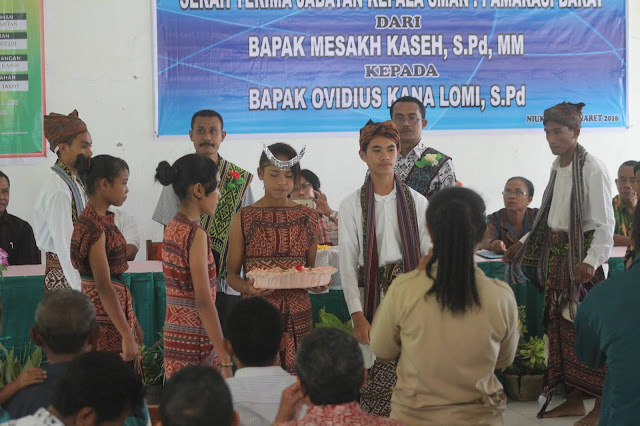 The students of SMAN 1 Amarasi Barat performed Rabeca dance in the handover ceremony on March 19, 2016.